The Page is an excellent resource for non-profits and other organizations. 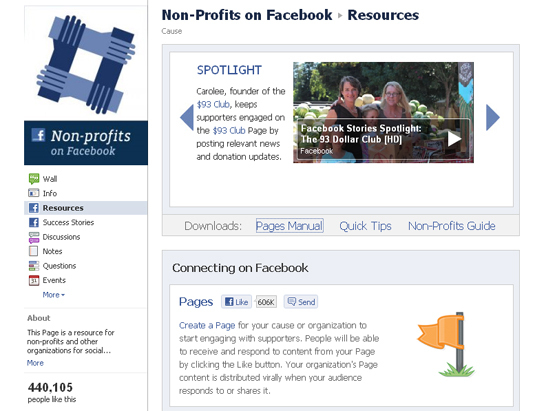 There are over 30,000 non-profits using Facebook Pages. Through the application Causes more than $5M has been raised since 2006 benefiting over 150,000 different causes.